Celebrity Fashion Site: Britney Spears Buys a Sprawling $19 Million Home! Britney Spears Buys a Sprawling $19 Million Home! It's hard to believe homes are even on sale for this much anymore -- but Britney Spears has purchased this $18.9 million luxury estate in Hidden Hills, Los Angeles. 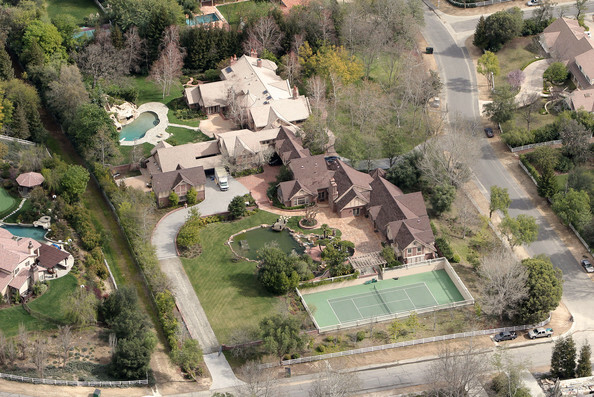 The 20,000 square-foot mansion is a significant upgrade from her last digs, which cost a modest $8.9 million. Her two little boys will likely be enthused about the move: the home is equipped with a game room, which includes an air hockey table, pinball machine and arcade games. So what could $18 million possibly buy you? Here's a bullet-point list of some of her new amenities! 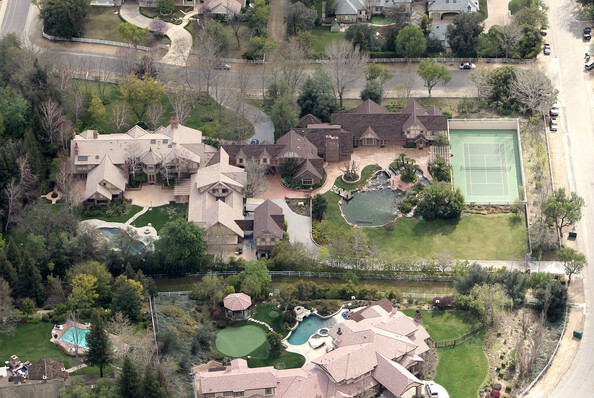 Britney Spears has moved into this $18 million luxury estate in Hidden Hills. The nearly 20,000 square foot home has 10 bedrooms and 13 bathrooms complete with two staff apartments and private guest quarters. Features include a 7 bedroom main house, a gorgeous ballroom with full bar, an arcade, tennis court, wine cellar, a perfect entertainers paradise.